The old saying is true: Accidents do happen. And no one wants to go through a crash or the hassle that follows. That's why Edwards Body Shop gets your car back on the road with friendly, fast and convenient service, quality workmanship and a timely repair. Your experience at Edwards will be comfortable and convenient. 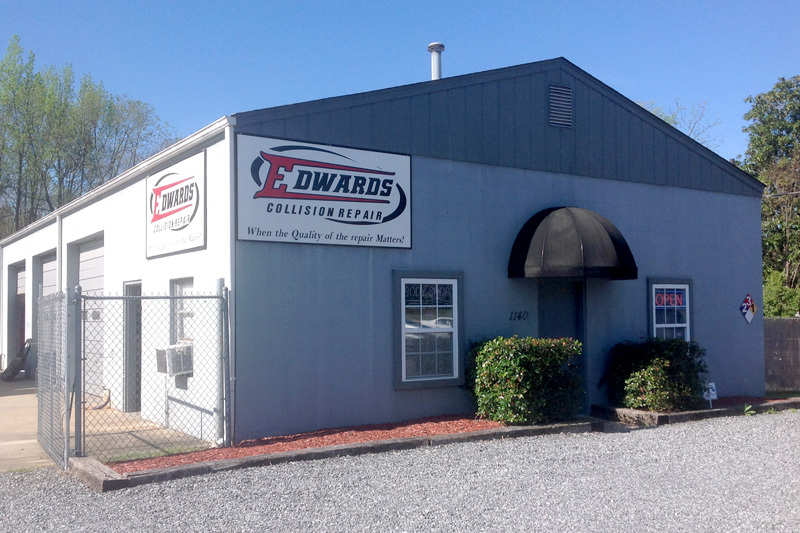 From your warm welcome at the front door to our attentive staff and clean, state-of-the-art facility, you'll feel at ease with Edwards. You'll also enjoy the convenience of our location at 1140 E. Black St Rock Hill, SC 29730. We work very closely with insurance companies and agents to streamline the insurance process for you. Finally, we even can offer free pickup delivery of drivable vehicles.